The Red House Interpretive Center and the Office of Extended and Continuing Education present “Tales from Christmas Past: A Red House Christmas” on December 1 and December 8 from 1 p.m. - 5 p.m. The Center will bring to life, Christmas in the French/Canadian traditions of the early 19th century, as well as Native American Christmas traditions of the same time period. Experience these traditions through food, music and traditional tales from Christmases past. Hot chocolate and a bonfire for roasting marshmallows will be included in the festivities. Inside the Red House Interpretive Center, children will be able to exchange trading beads for various Christmas items at the trading table. But what would Christmas be without Santa?! Santa, otherwise known as Pere Noel or The Handsome Fellow in other time periods, will be rocking on the front porch waiting to hear all of your Christmas wishes. For a small fee, get your photo taken with Santa to commemorate the season! 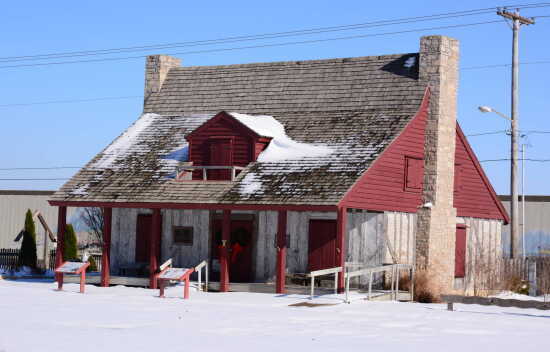 Because of its mission to educate and share history, The Red House Interpretive Center does not charge an entrance fee for tours or events, but rather depends upon kind donations from its visitors. Therefore, its doors are open to all, and all are warmly invited inside to share in the magical traditions of Christmases past! Call us at 573-339-6340 for more information.